Another painting of heat and sunshine. Anyone might think it’s cold and raining outside at the moment. 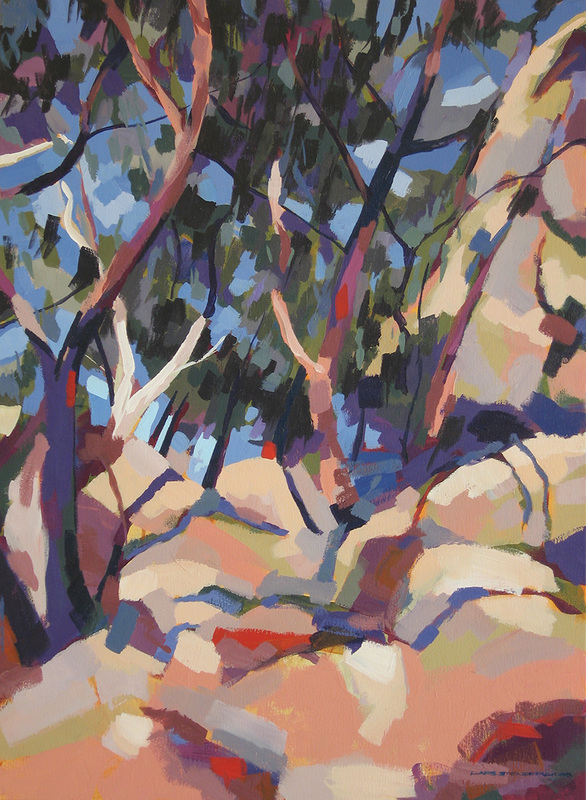 This painting was made in the fierce mid day heat in the You-Yangs, a group of hills near Geelong. Starting the walk earlier would have been smarter, but hey-ho, sometimes we just have to hike when we can hike and hum to ourselves “mad dogs and Englishmen go out in the midday sun”.